Perhaps no season in the mountains is as glorious as autumn with its bold blaze of hues. Take in the showy display on these pages, and then set out to glimpse the dazzling vistas for yourself. 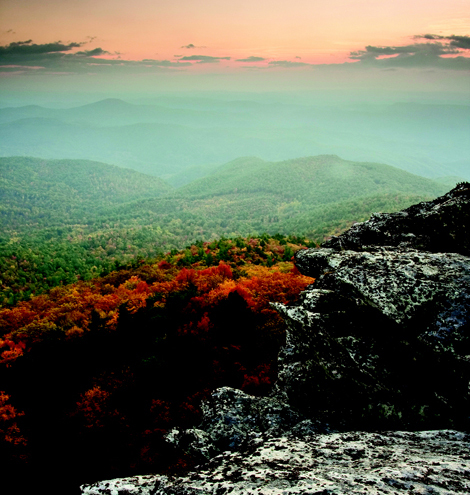 What this peak lacks in size—topping out at just over 4,000 feet—it makes up for with views of warm colors blanketing Linville Gorge and Pisgah National Forest. The 1.5-mile round-trip hike is steep and rocky at points, but the payoff is well worth the effort. Getting There: Take U.S. 221 to Linville Falls. Then take N.C. 183 for 4.5 miles and turn right onto N.C. 181. After 3 miles, turn right at the second intersection with Ginger Cake Road. In a half mile, veer left onto Table Rock Road. The parking area and trailhead are about 3 miles on the left. 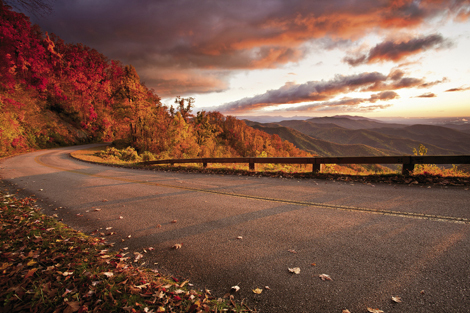 Morning light along a stretch of the Blue Ridge Parkway casts a golden glow that rivals any sunset. Spend the night at nearby Crabtree Falls Campground to rise early and catch the vista of Hawksbill Mountain and Table Rock in the distance. From the Folk Art Center near Asheville, take the parkway 35 miles north to milepost 347. Set out from the Beacon Heights Overlook at milepost 305.5, the Linn Cove Viaduct Visitor Center, or Julian Price Park at milepost 297. 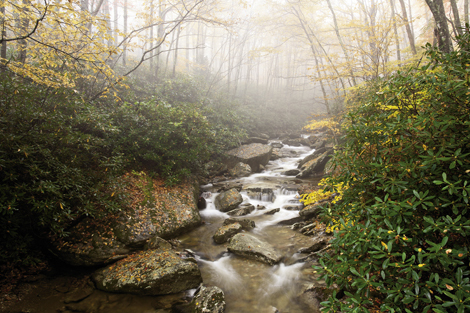 The park is a 20-minute drive from Blowing Rock. 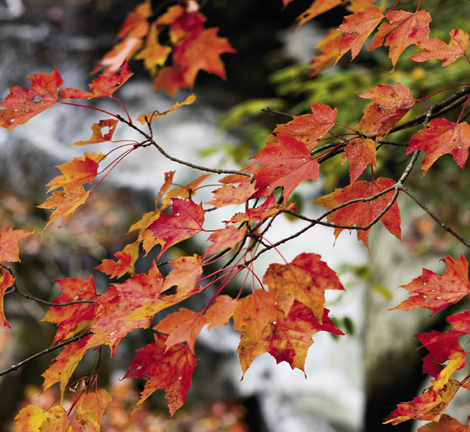 Fall is the peak season to cruise along this iconic man-made marvel which wraps around Grandfather Mountain. The bridge, celebrating its 25th anniversary, was the last section of the Blue Ridge Parkway to be completed. Stop in at the Visitor Center to learn about its construction and take in a view from below the structure. 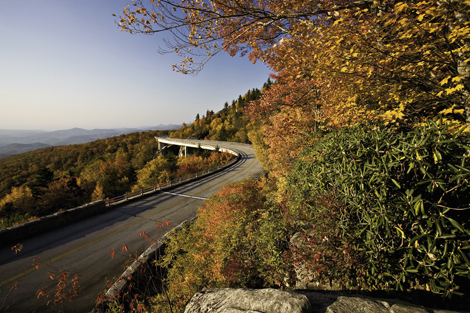 View the Linn Cove Viaduct at milepost 304 from the adjacent Boone Fork Overlook.